I know that title may be a little misleading, since I haven't posted a "d30 Feature of the Week" since mid-June of last year! I'm trying to get back into the swing of things (in general). Which is why you've seen a few new posts here and there, and why I'm trying to keep some new content coming. 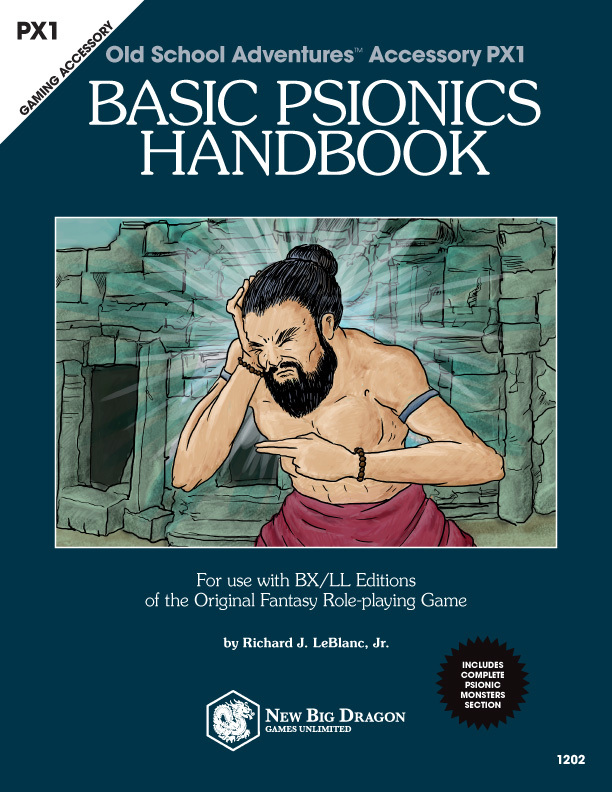 I do have some new d30 charts I'm trying to finish in time for this year's NTRPGCon. Last year saw the adventurers journey to the Halls of Trianta. This year, the adventurers will journey to the Tomb of Trianta. 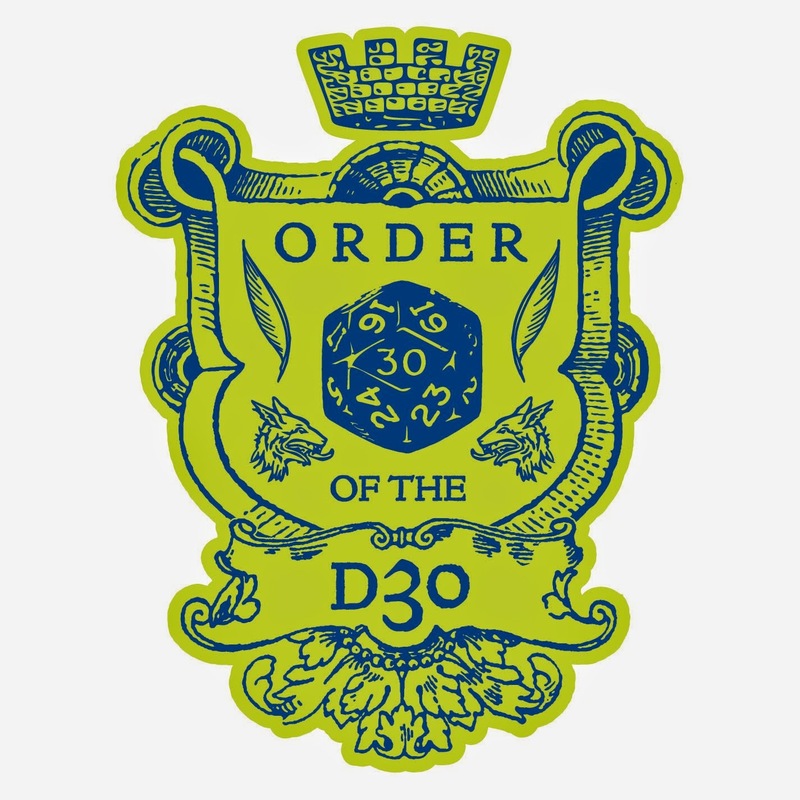 I'm not sure how many of those new tomb-related d30 charts I'll be sharing, since they'll be spoilers for the players. But I'm sure that I'll be proud of some of them, and share anyway (with a spoiler warning). Anyway, I think this one came out pretty nice, so I hope you'll enjoy it. 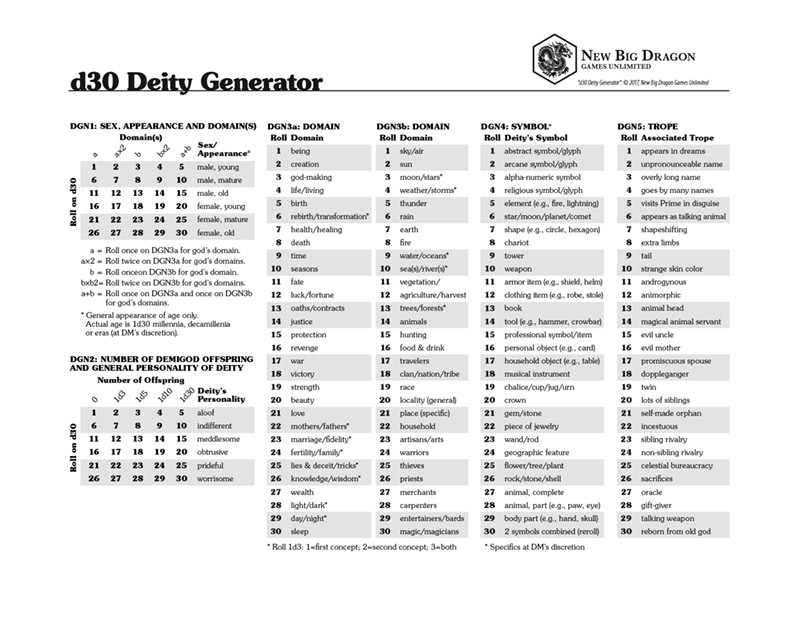 a free PDF of d30 Deity Generator page from MediaFire.